A meeting to decide the sailplane which all competitors of every country should fly in the Olympic Games Gliding Contest, was held 50 years ago from the 19th – 25th February 1939 on the airfield of Sezze near Rome. Although other sailplanes had been designed and flown, for the Olympic Class only 5 sailplanes took part in the calm winter air at Sezze. These were from Germany, the DFS Olympia Meise and the Akaflieg Munich’s Mu 17. From Italy, the “Pelicano” and A.L.3. From Poland, the “Orlik Olimp”. An international Committee consisting of Lajos Rotter – Hungary, Eric Nessler – France, Hermann Schreiber – Switzerland, R. Szukiewiecz-Poland, A. Mantelli – Italy, Brautigam – Germany, as well as others, judged and tested the aircraft on the ground and in the air. Finally decided that the DFS Meise was the best all round aircraft for the Olympic Games. As the next Olympics were to be held in Helsinki, Finland, in 1940, the Meise’s drawings were sent out to many countries so that it could be built. In the event, the 1940 Olympic Games never took place because of the war and no sailplane has yet taken part in an Olympic event. Nevertheless, the legacy of the Olympic sailplane has been kept alive by Olympia Meises, Eon Olympias, Chilton Olympias, Nord 2000s and the Mu 17s, which were so excellent that they are still with us today. Most of the above were flown and some survived the war. The semi finished Horten 14 of 16m span was destroyed after its capture by American troops in 1945. Nevertheless, only Olympia Meises, its foreign built versions, Mu 17s S.18s, and the Orlik 2* in America, still exist today. (Smaller span than Orlik Olimp”) As we have already published much Information on the Olympia, we believe that we should now give information on the Mu 17. During 1938, Ludwig Karch, who was already the great hero of the Mu 10 Milan, set about designing an Olympic class sailplane, assisted by students from the Munich Akaflieg (FFG) and by Egon Scheibe. Whereas, its forerunners, the Mu 10 and Mu 13, had square cross sectioned, welded steel tube fuselages, it was decided that, as these were square to enable them to carry engines, or passengers, a triangular steel tube fuselage would be both stronger and lighter, than a square fuselage, which was more characteristic of aeroplane type construction. 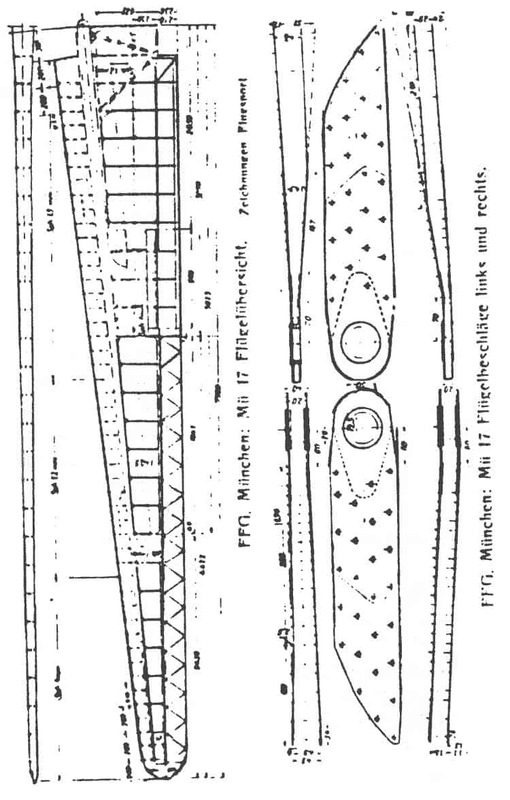 It is also noticed that the triangular sectioned fuselage was adopted for the 20m span Mu 15 two-seater. Thus, although the cockpit of the Mu 17 was square sectioned for pilots’ comfort, the rear fuselage was triangular, although attached wooden stringers did slightly embellish its form. This type of fuselage was also adopted for the Mu 13d from 1943. Because of its extra lightness compared with the square fuselage, the triangular fuselage was given extra length to improve directional stability. This could be made even longer by the fact that the Mu 17’s wings were swept back which put its C of G, had the fuselage not been lengthened, further forward. Thus a machine was created with much improved flight handling than that of the Mu 13ds. Its 15m span gave a lightness of aileron control. Its lengthened fuselage gave good pitch and yaw stability and its cockpit offered excellent pilot comfort with the pilot being able to a certain degree lie back. 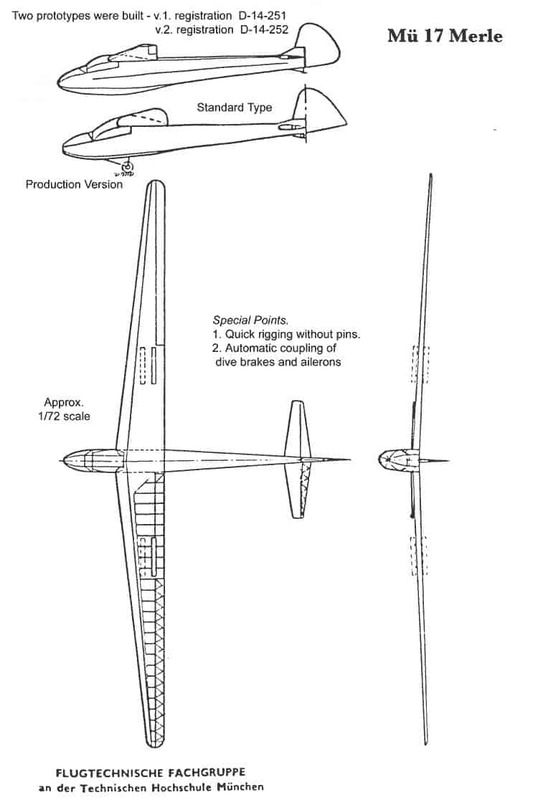 Excellent lateral stability was assured with more wing dihedral than the Mu 13d had. However, it is well Possible that the 16m wing span Mu 13d has a better max glide angle than that of the 15m span Mu 17. The production version of the Mu 17 has an elevator trim while some, if not all, had very long retracting undercarriages. This could mean that it was felt that as the new design was so low on the ground, that there was danger of damage from rough ground and long grass. It could also mean that, as with the Rheinland, it needed a higher angle of hold off for slow landings. It should be mentioned that the two Mu 17s still in existence do not have retracting undercarriages. The wings were of simple construction, being assembled on the machine with a vertical pin through the main wing fittings. This allowed quick and easy rigging. DFS type dive brakes are gentle, but less effective than the Schempp Hirth type. In all, it is a superb little sailplane in every way, and, as its drawings still exist, we call upon those who have them, to make them available to those who might wish to build the type again. 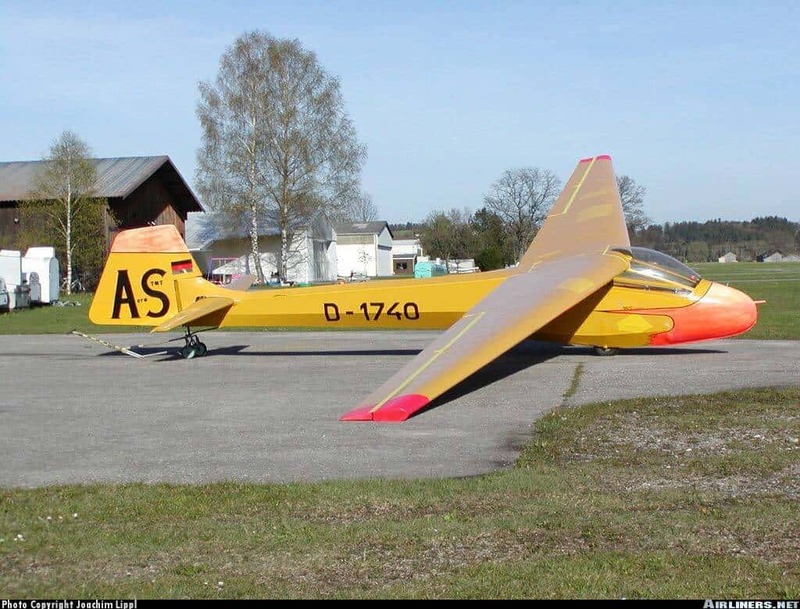 It is believed that it was not selected as the Olympic sailplane, simply because there was suspicion at the time that a steel tube fuselage might not be easily and quickly builtu We have already published information of the Orlik, FVA 13 Olympia Jolle and B.8, the last two not attending at Sezze. Comparison specs for Orlik, Mu 13d, Mu 17 and Meise are below. Type Wing Load Max. L/D Span. It is clear from the comparison figures, that the International Committee had no easy task to select the Sailplane for the Olympic Games, at Sezze. It would appear that the Mu 17 was faster than the Mu 13d and the Meise, was easier to rig, and cheaper to build, than the Meise. It must be remembered that the figures were calculated only for max LID and that the 1956 built, present existing, Mu 17s may have greatly improved flight handling than that of the prototypes. The Olympia Meise may have been perfect from the word go. 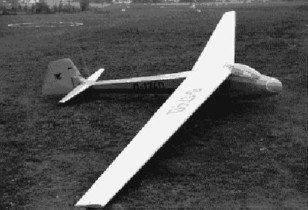 The first prototype took part in the Olympic Sailplane Comparison trials in February 1939. It did not win because of the high standard of the Meise and the Orlik. It is possible that subsequent Mu 17s were improved with elevator trimmer etc.. The first and second prototypes competed in the 1939 Ruon Contest flown by the very good pilots, Bernard Flinsch and Ludwig Karch. No doubt, due to the tough competition and good weather which may have favoured the faster, and higher performance 18 and 19m span sailplanes (ie the Reiher 3s, Condor 3s and Weihes), Bernard Flinsch was only able to achieve 10th place with 2057 points, and 1,637 kms flown. Erwin Kraft (Reiher 3) won with 2,550 points and 2,521 kms flown. Ludwig Karch realised 23rd place with 900 points and 1066 kms flown. We believe that this indicates a very keen contest with closely spaced results. What is certain is that almost all Mu 17s were destroyed in 1945 during and after the war. 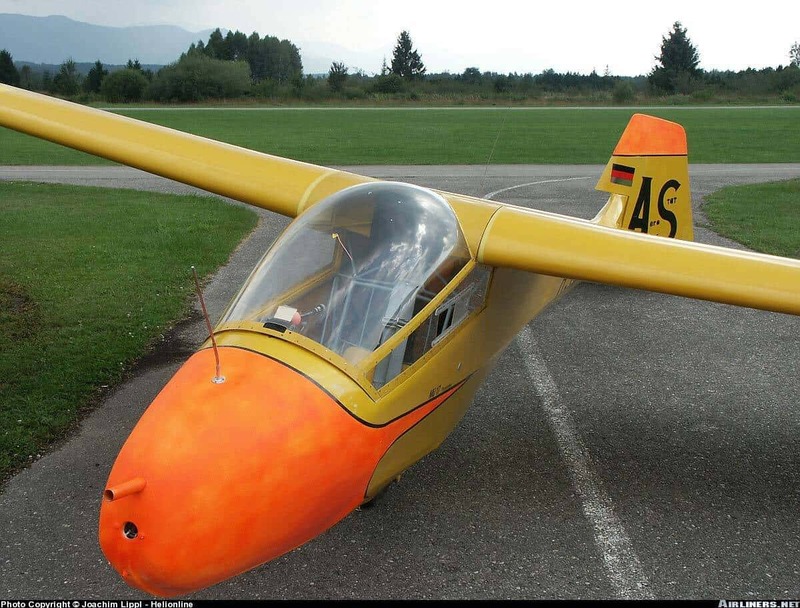 Only one or two Mu 17s were ever used by the RAF in Germany, one of these was at the BAFO Club at Oerlinghausen. The last Mu 17 in Germany was destroyed by an RAF pilot, who flew it on a cross-country lasting many hours. At last, he reached his goal and was so tired that he could do nothing more than crash it on the goal, the square of a small German town. The Mu 17 at Oerlinghausen had the long legged retracting undercarriage. In 1956, the Akaflieg Munich students decided to build two or three Mu 17s again with modifications to further improve it, so that the old design could be compared with more modem designs. At this time, the Mu 17, on account of its swept back wings, was nicknamed the flying coat hanger! Both these Mu 17s still exist, with square wing tips and rudders and with round noses. One owned by the Munich Akaflieg, the other by Rainer Karch. We believe that these are to be restored. Wing Loading 19.15 kgs./dq. m.